What’s obvious is that what ended up on store shelves was an unfinished product. 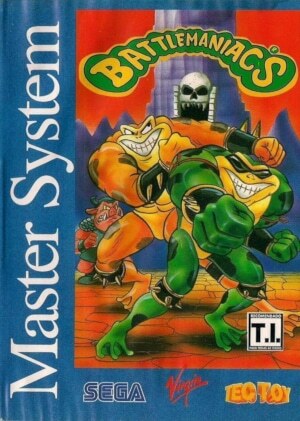 Filled with glitches, stage tunes playing in the wrong spots or not at all, and a generally underwhelming presentation, Battletoads in Battlemaniacs was hardly a sparkling addition to the Master System’s library of games. What’s intriguing to ponder is whether what was released in Brazil was the same build of the game that was scheduled for release in Europe. The published reviews – while less than enthusiastic – don’t indicate a broken game. That being said, the Mean Machines article does mention “poor sprite detection” and “overall sloppy programming”. That same review takes a rather dim view of the Battletoads in Battlemaniacs soundtrack. 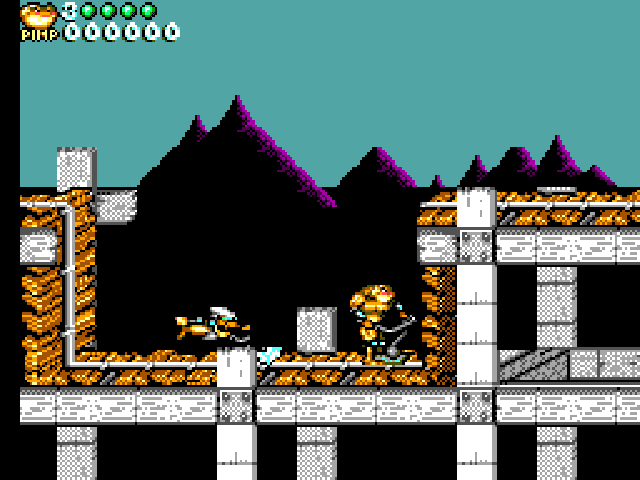 The author claimed that it was a rip off of the Master System’s Lemmings port. That’s an odd claim to make, given that Matt Furnier rather obviously ported David Wise’s Battletoads in Battlemaniacs SNES score. That soundtrack is one of Wise’s lesser works. 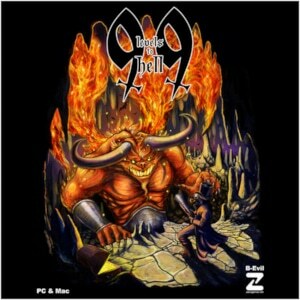 Its attempt to fuse orchestral and rock elements resulted in overly long and repetitive tracks that felt melodically uninspired and lacked momentum (and the buzzing guitar sound didn’t help matters). Furniss’ take on Wise’s material is the sort of smart distillation and tweaking that makes a score written for a far superior sound chip work on a more limited platform. There was little hope to translate the guitar focus of the SNES score to the Master System, given its generally bright timbres and lack of duty cycles to manipulate instrumental colours. Furniss navigates around this issue by putting less emphasis on the melody instruments. Instead, he writes fantastically tight, rock-solid rhythms, rendered on might be some of the Master System’s best-sounding rock drum imitations. Beautifully spacious, yet authoritative and hard-hitting, it’s really the drums that are the star on the Battletoads in Battlemaniacs soundtrack. They drive each piece forward with relentless energy. What’s more, their lo-fi, near-industrial nature (compared to the SNES samples) gives them a grit and energy that was missing on the original score. At the same time, Furniss is aware that a great drum beat will only carry a piece for so long. What he ensures then is that none (well, almost none) of his tracks here outstay their welcome. As a result, his cues are more succinct than Wise’s compositions, staying closer to action game music conventions. All this is not to say that the melodies Furniss either adapts or writes himself are lacking. 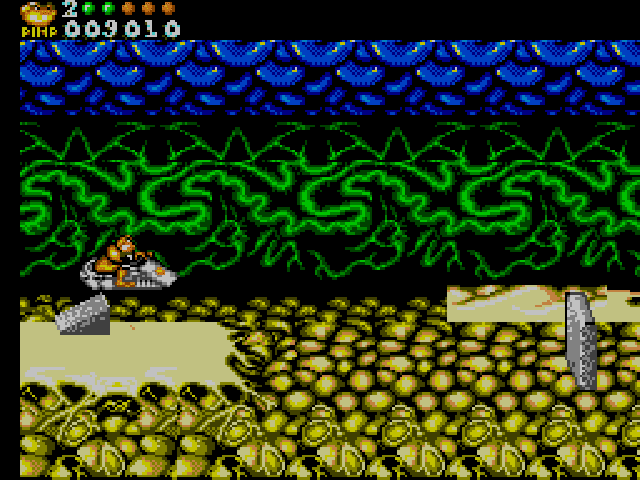 Not surprising given his background in the European computer music scene, most melodies on the Battletoads in Battlemaniacs soundtrack come in the shape of cleverly layered arpeggios. Both on “Title” and “Ragnarok Canyon”, these bubbly arpeggios trade places regularly with bass melodies, helping the music’s variety and sense of forward direction. Ultimately though, while Furniss’ melodies get the job done, their purpose really is to support the rhythms and their never-ceasing propulsive drive. “Snake Pit” is the culmination of this approach. Turning the SNES’ soft, percolating percussion into fierce ostinato, Furniss’ Battletoads in Battlemaniacs soundtrack uses its breathless pace and anthemic melodies to deliver the soundtrack’s most adrenaline-driven, rock-like track. A nice touch is Furniss’ pronounced use of vibrato on the sustained, decaying notes that close several of his melodies. It’s as close an approximation of guitar tones as one could hope for on the Master System.